honestly don't consider myself as a gadget genius, I needed to read more about the mentioned mobile phone to understand why more and more people are fascinated with it. Anyway, one reason why I get so interested to know more about the phone is that I will be changing to a new phone sometime next year and that I have to carefully choose which I want to invest money on so I won't end up wasting my savings. Blackberry seems to be a very user friendly phone and designed for busy people like me. I love the styles of most of the brand's series and of course, the phone's functions and features. Another great thing about this brand is that users can easily purchase Blackberry cell phone accessories online making it a lot handy to have one. I am the kind of person who loves to change my phone's casing from time to time. Knowing that I can easily purchase cases to dress up my phone is a plus for me. Some other Blackberry cell phone accessories I find important are one or two extra batteries, a car charger, a cell phone pouch and some keypads to match the cases and I am glad to know that I can look for all of these online! great choice sis. 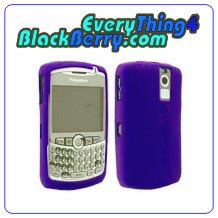 I think Blackberry would suit you well. How are u na? oh.. i have heard so much good things about blackberry. will check it out in stores later to see it for myself.